Here at George’s Hairdressing, our mission is to make each client’s visit a memorable one promising you the very best customer service. 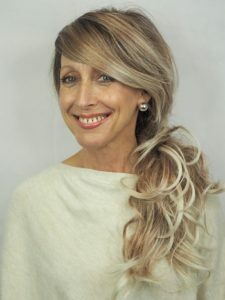 Our salon at Allandale Road in Leicester has ‘The Jakki Williams Room’ formally known as the ‘New Hair Room’ which is dedicated to those suffering with medical hair loss. 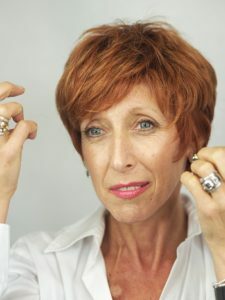 Medical hair loss can affect confidence and cause people to have low self-esteem. We want to be able to minimise that stress and emotional difficulty by giving you the full salon treatment to help you feel pampered. 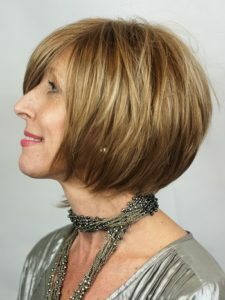 After booking in a consultation with our wig team you can go through the full service as if you were in the salon, keeping the experience exactly the same from the head massages to the colouring, styling and cutting of the wigs. This room is a safe space where you can sit back, relax and have a giggle. Tina is a Breast Cancer survivor. She was diagnosed in September 2018, since then she has been an avid user of our wigs even creating a ‘Wigmas’ calendar for us in December! Throughout the festive month, she showcased a different wig each day – you can view all the photos in our gallery. Tina has claimed that her normal hair would be too boring to return back to now because of all the fun she has with our wigs. 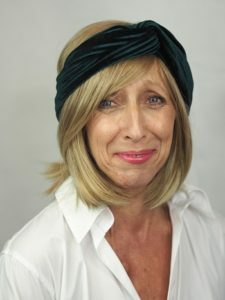 After having her diagnosis, Tina booked into our specialist wig room and loved the service, telling BBC Radio Leicester: “Because it’s a hair salon and not a hospital, you get the same incredible service which is a great comfort. It allows you to not feel like an alien or that you’re different. The wig room isn’t frightening and I want everyone to try it! At George’s we want to enable our clients to feel back to themselves after having to go through the upsetting ordeal of losing their hair. But we want to push that you’re not losing anything, you’re being given the chance to explore your options and embrace it! We recognise that choosing a wig can be a difficult process. 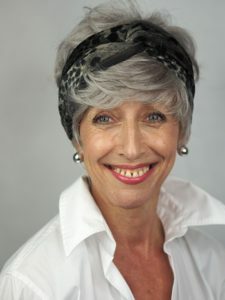 Jane Watts is our charming, charismatic and creative Wig Consultant. 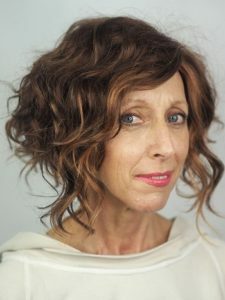 With her career spanning over 30 years she can help you to overcome your hair loss by choosing wigs that compliment your look and meet your requirements. You can make an appointment easily on our online booking system, over the phone at 0116 2858282 or drop into the salon for a cup of tea and a chat.